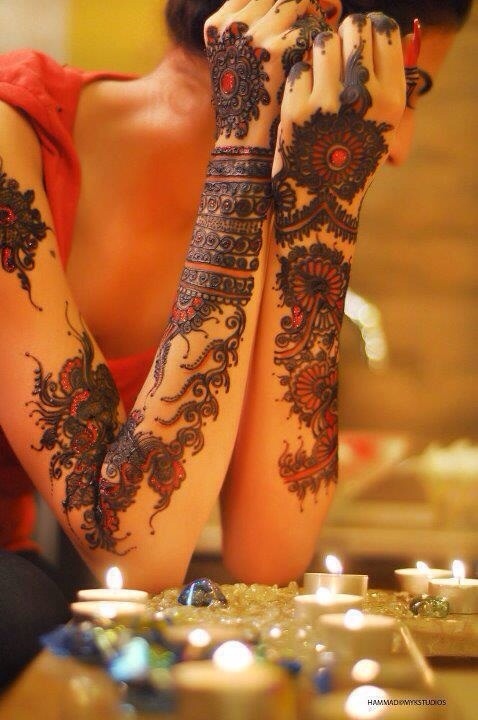 Mehendi or Henna can be the best friend when it comes to Indian ethnic art, why to use tattoo when we girls got the beautiful mehendis!! 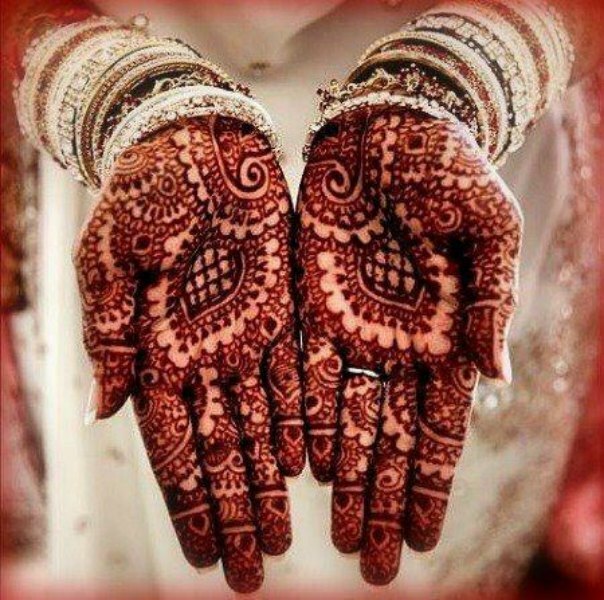 Holi, Diwali, Wedding or Eid, Mehendi can make your hands dye in red and make you complete. 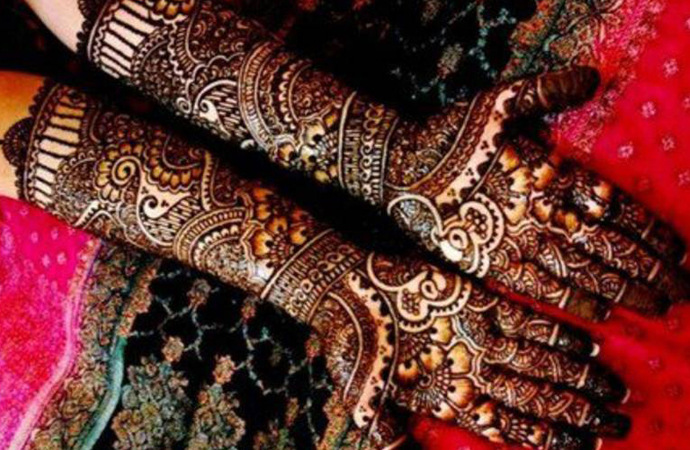 As a Traditional art, mehendi is not only limited to older styles, it has evolved a lot and several quirky designs are used as well. 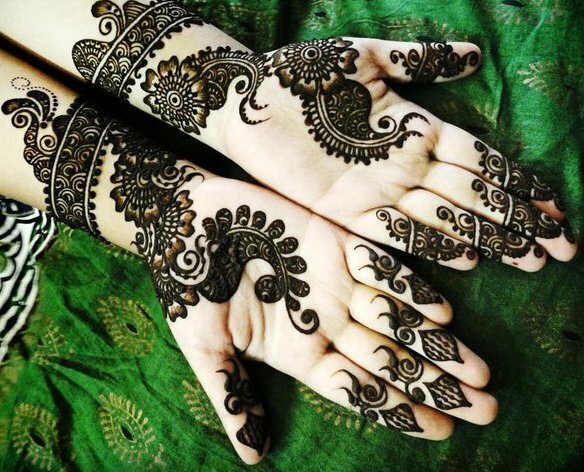 Indian mehendis are complex in pattern and mainly reflect the Indian culture, like birds, peacocks, flower, and natural designa. These mehendis are tough to make as there remains the maximum details present. 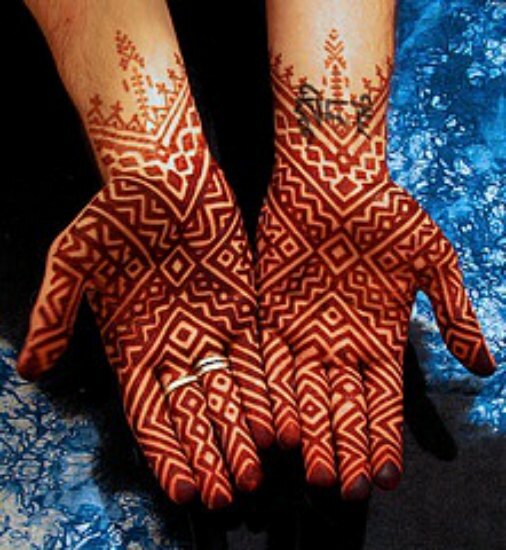 Too much detailing can actually make it better, the designs used are mainly Batik. Usually darker and is more dense. 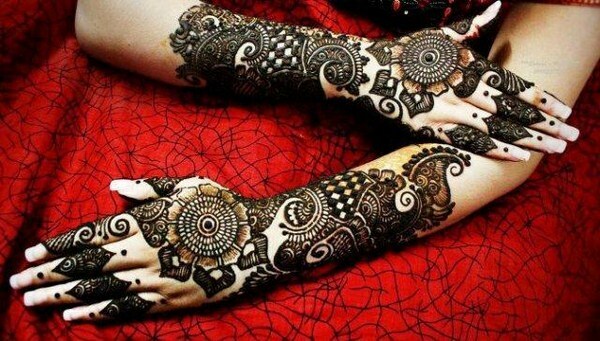 Arabic mehendi is simpler than than of Indian mehendi as it focuses to drawing thicker outline than filling it up. The main design principles are the out lines of flowers, leaves, vines etc. In short floral patterns are used. 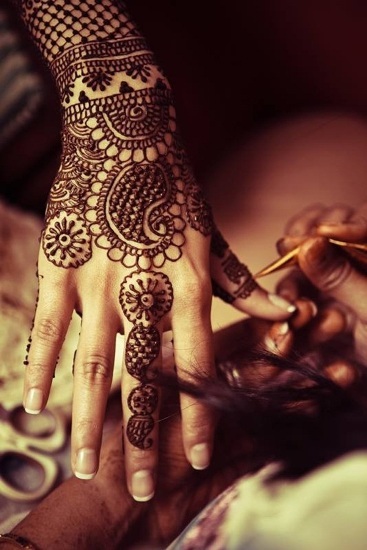 They include the designs of both Indian and Arabic design. Includes thick layer of outline and filled with intensive details. 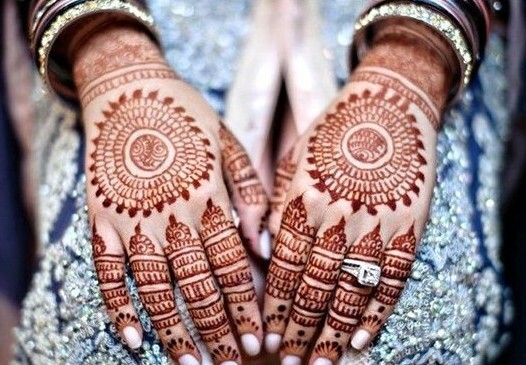 A perfect combination of floral and geometric shapes can be observed in this types of mehendi design. 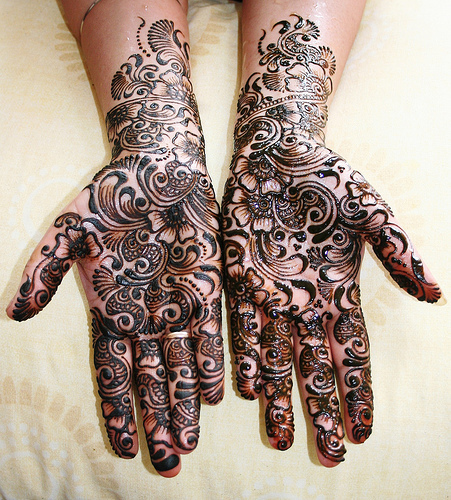 These are bold with thick outline of floral patterns, similar to arabic design but the designs are complex than that. Preferred style for weddings. 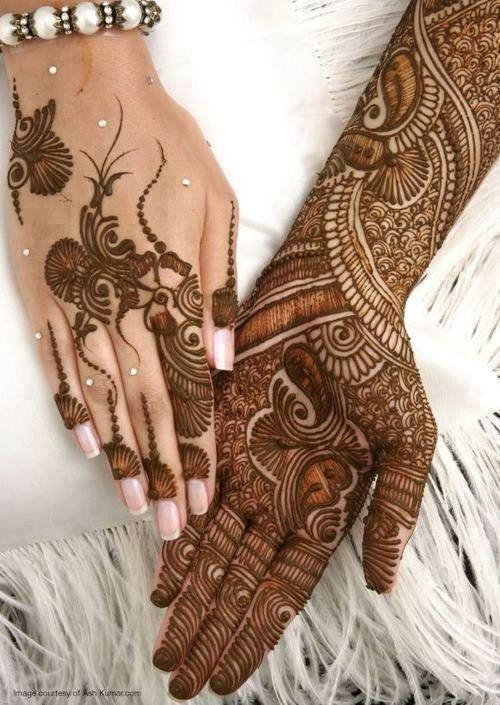 Darker than any other form, used globally as the best designs. Extensively geometric shapes are used, origin of the middle east. There are no flowery or soft pattern, it includes only shapes. A lot of detailing are done to make it visibly attractive. 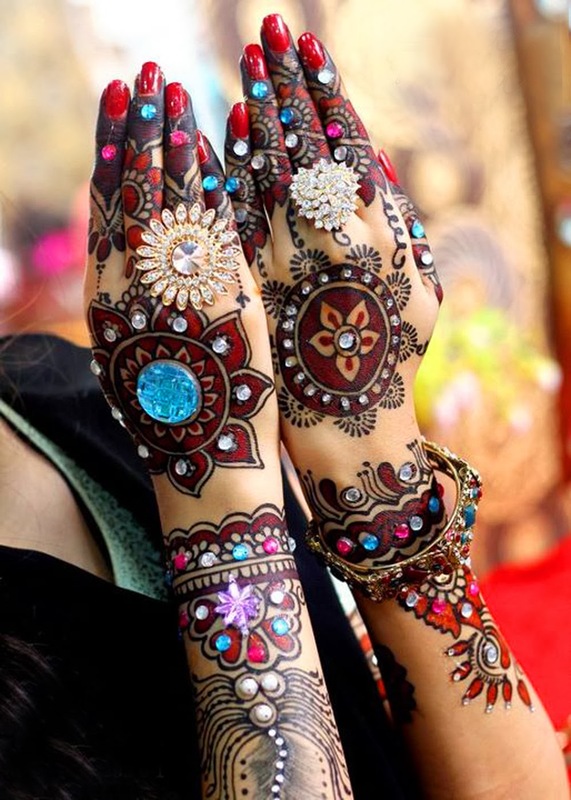 Mehendi with added glitter stones or sparkles, mainly used to change the monotonous look of mehendi with only drown and red designs . Worn with contemporary ethnic dress and offer a new trend. 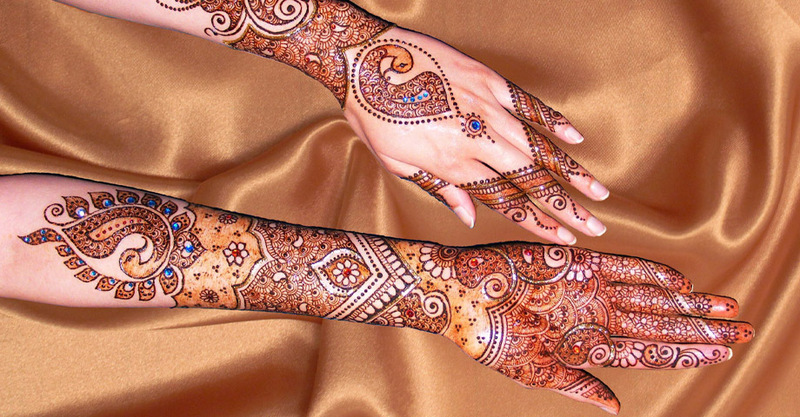 The oldest and the most traditional form of mehendi art is the mughlai art. Which can be traced back to 2000 years old. 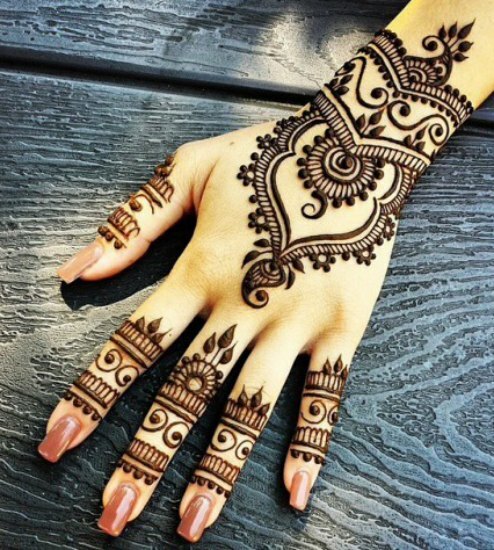 They are the most detailed, neat and fine lines of henna. Every single dot and curl is perfectly visible in this form. 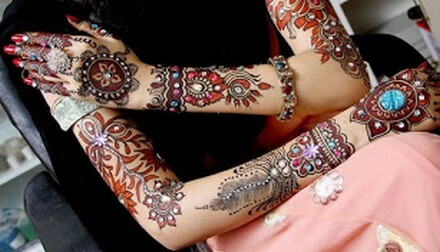 Includes all the designs from motifs to flower and from geometric shapes to veins. These are filled for hands till the elbows and for legs till the knees. Glitters are add-ons to this design and mainly include a lot of colors, mainly for modern use with easy goings dresses. 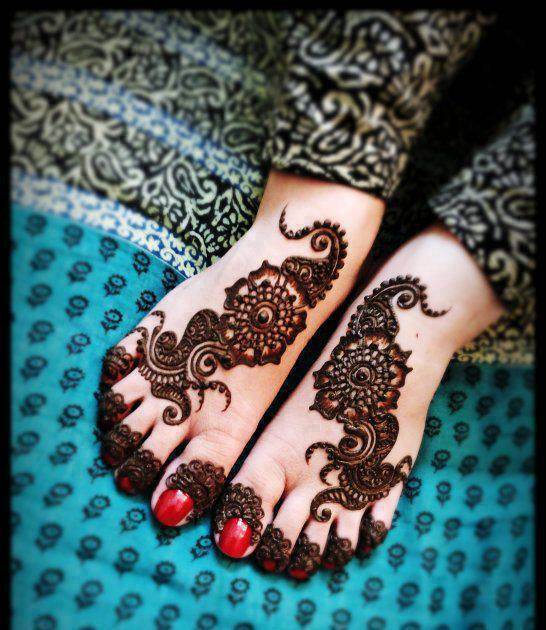 Mehendis are still in style adding a traditional touch to the modern look ! 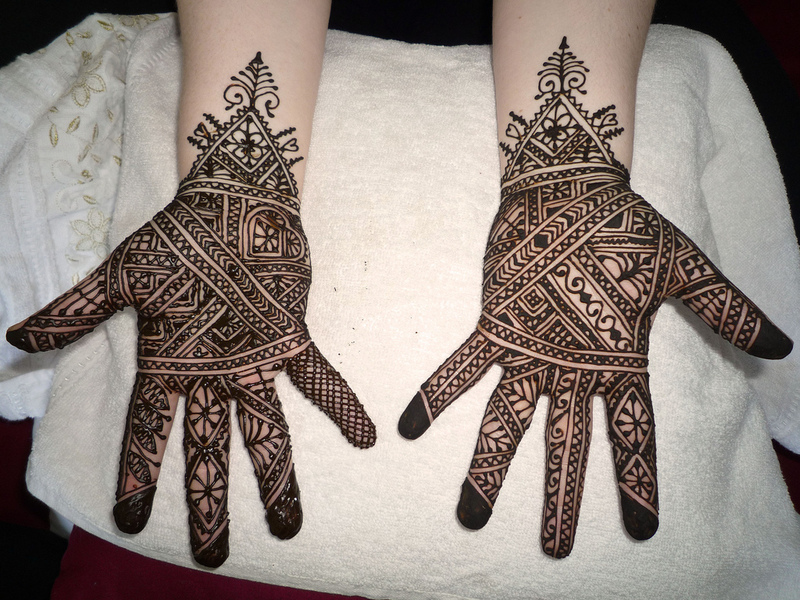 This entry was posted in Makeup and Beauty and tagged Indian look, Indian mehendi, Mehendi, Mehendi designs, Traditional mehendi.